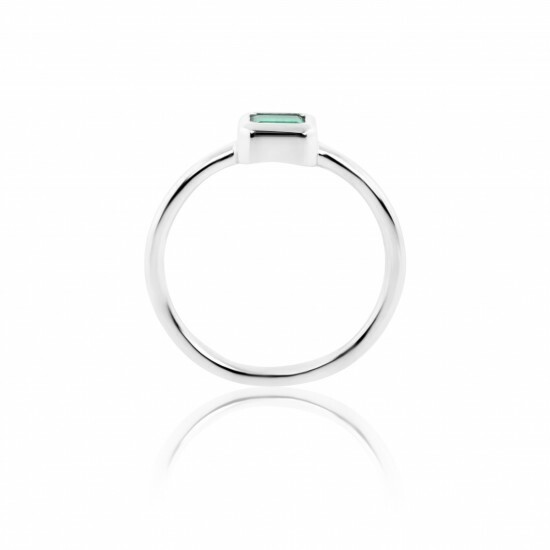 When it comes to simple, understated jewelry, it doesn't get more beautifully minimalist than this ring. 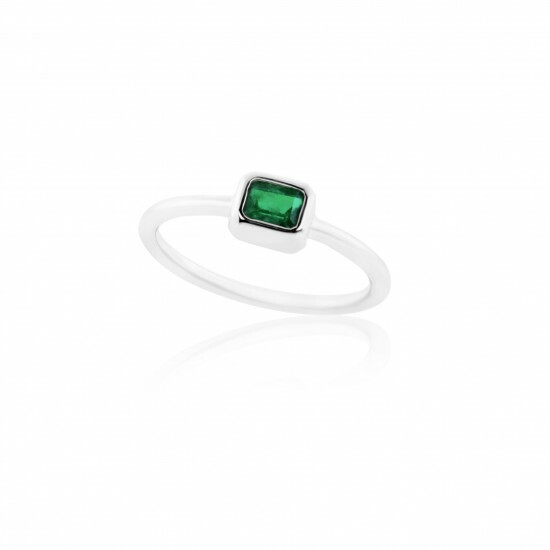 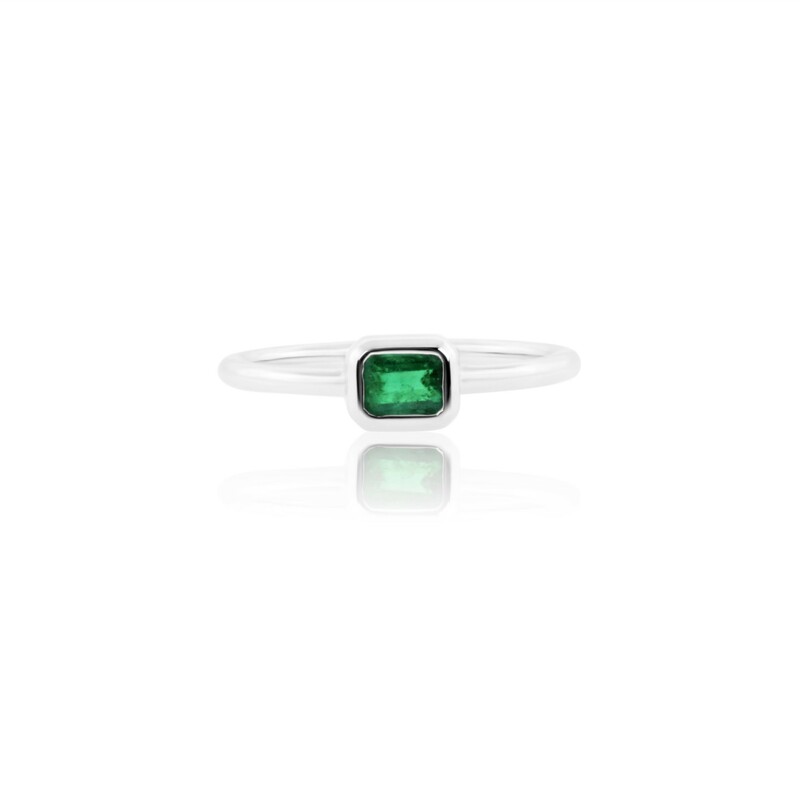 This 18K white gold ring features a 0.42 carat Colombian emerald. The bezel setting ensures that your emerald will not be easily scratched, damaged or prone to fall out. 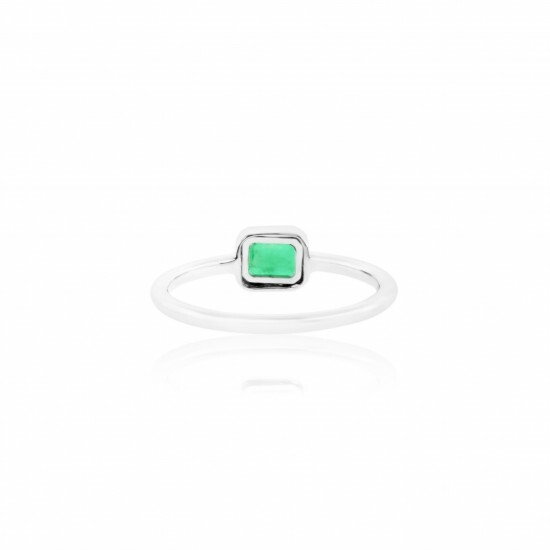 This lovely minimalist ring is perfect for the woman with an active lifestyle or one who simply prefers a no-frills ring. 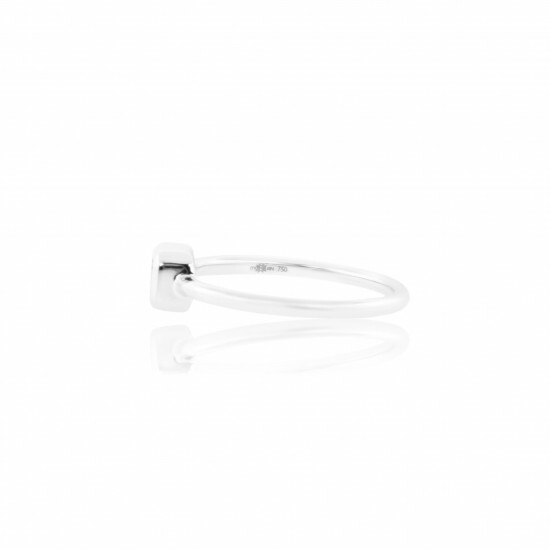 Gold weight: 2.24 grams.